Thanks to the efforts of our Junior Warden, James Hope and LOTS of brethren, their wives and families we had the most awesome Family Day on Aug 13th that we have ever had since I have been a member of Hickory Lodge. The Catawba County Science Center came out and brought some great activities and animals for the children to interact with. The Sheriff’s department set up their mobile command center truck as a static display for everyone to see. Becky “the balloon” Lady was back again this year molding fantastic creations from her balloons. What an art that is! We also had face painting, specialized tee-shirts, and other activities but the headliner was the scrumptious hamburgers, hot dogs, and other food followed by the 8 gallons of various homemade ice creams that we served. 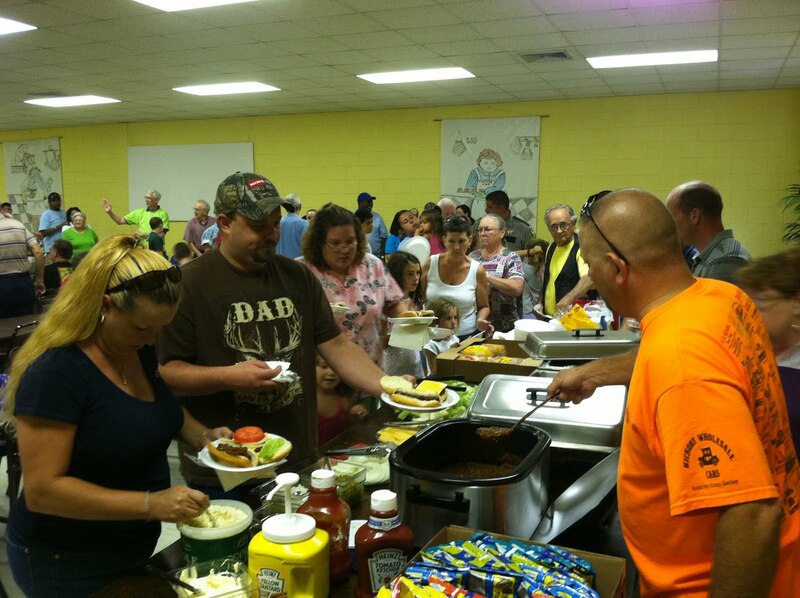 This year we easily hosted over 50 children and totaled at least 250 in attendance….. Great times! Jr. Deacon, Allen Lineberger (in orange) serving up food to attendees.